LEGO 4767 Harry Potter Harry and the Hungarian Horntail. Mad Eye Moody, Harry Potter, Dumbledore, and The Hungarian Horntail. Original box and instructions and all parts are included. All parts are in excellent condition. This set was built once and stored in a smoke and pet free home. This Harry Potter set comes with 265 pieces plus original instructions and original box. This set takes place in "Harry Potter and the Goblet of Fire, " the fourth book in the series. 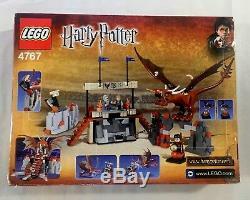 Features character minifigures of Harry, Professor Dumbledore, and Mad-Eye Moody, and a Hungarian Horntail, stands (so that other characters can watch the challenge) which feature steps, seats, and blue flags, and stickers with the school insignias. The set also comes with a miniature recreation of the beloved broomstick. There is also a golden egg in the box. The egg is magnetic so that it can be held in Harry's hand. 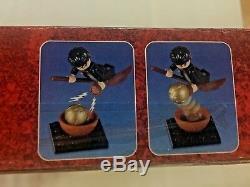 It is one of the only pieces in the Harry Potter LEGO Collection that is magnetic. 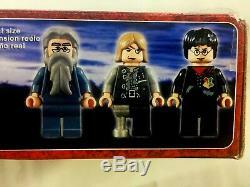 The Mad-Eye Moody figurine is exclusive to this set, which may interest fans of his character and minifig collectors. Box Condition: Overall condition is good. Outside of box has some edge wear and there are two areas that have holes that been taped over. See photos for exact condition. Please check out my other Lego Harry Potter items! 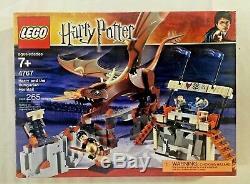 The item "Lego 4767 Harry Potter Harry And The Hungarian Horntail 100% Complete" is in sale since Sunday, January 20, 2019. This item is in the category "Toys & Hobbies\Building Toys\LEGO Building Toys\LEGO Complete Sets & Packs". The seller is "catbusbel" and is located in Decatur, Georgia.